There is something particularly beautiful about coming to the end of yourself either physically or emotionally. It's raw, there is nothing hidden, you are face to face with you ability. As Dave Holland came around me to plug the gap forming between Garvin and I, I tried to remain positive. I started telling myself "they can't keep this pace up for the whole climb, they will back off." Then I looked down and saw the truth: 3.8w/kg was all I needed, and I couldn't do it. Getting dropped is humbling, especially when you don't give up, you just get out ridden. 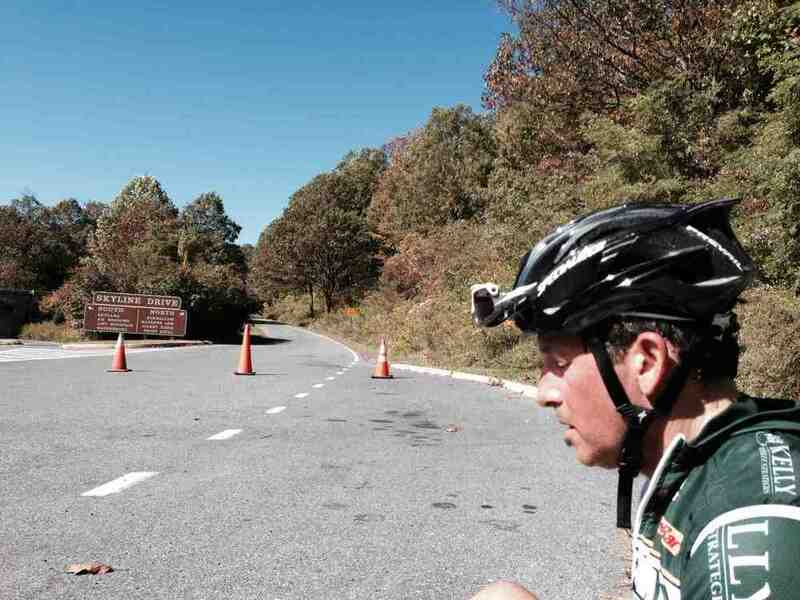 That was me at the BRCC Fall Ride. It all started five hours earlier in the morning sun outside of Front Royal, VA. 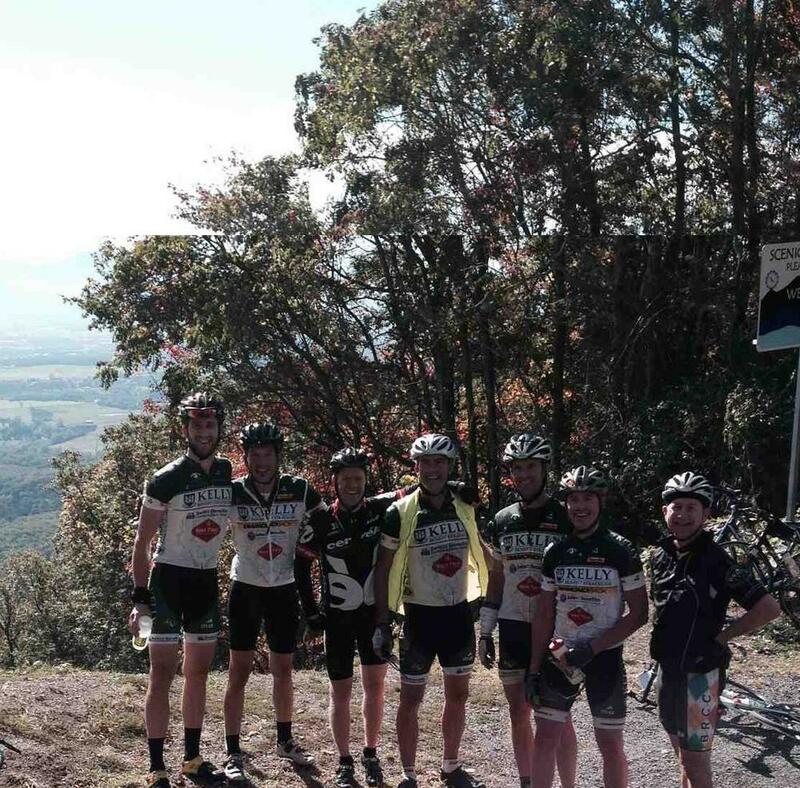 Seven of us saddled up and hit the road for our semi annual Skyline drive ride. Greg Garvin, Pete Bolster, Dave Holland, Jim Miller, Brett Katzen, Steve Erlemeier and I. We began at a healthy pace as we wound our way through some country roads toward the Shenandoah National Forest. The pace line was tight and efficient, as everyone was sharing the work well. We drifted through forests, past cascading rivers, and occasionally flashed though sleepy towns. It was mostly quiet in the group as we took in the gorgeous views of fall leaves and distant mountains. We averaged a bit over 20mph on our run in to the first climb: 1.6 miles at 7.5%. The group broke up into clumps as everyone made their way to the summit for the rewarding view. Down the backside of the mountain we went with Bolster again showing he is the king of the descents. Meandering to Luray, we made our pit stop and were on our way towards the next climb of the day, Pass Run: 4.1 miles at 5.5%. This climb is a legend in my mind. No matter how many times I ride it (8 times now), I can never seem to recall how long it is. The winding corners all melt into similarity as you slog your way up the mountain. Such was the case today. The big variable of the day was Skyline. Thanks to the government shutdown, it was supposedly closed. An alternate route had been drawn up but we all agreed to check out Skyline before we gave up on it. Coming up to the gate we saw multiple cars maneuver around the cones and head up the Drive! "Well ok then!" we thought. After a brief rest at the entrance, we got going up towards Skyland. Some have said they tire of the same views on Skyline year after year. I for one seem to never get used to them. Every year they take my breath away and I find myself longing to go back even before we've left. 3 miles into the climb we came up on a truck. The driver was a local that lived on the drive, and warned us a ranger was about a mile up the road giving tickets to anyone on the Skyline. Deflated, we turned around to head towards the alternate route. Back down in the valley on the east side of Skyline, we began our run through the plains toward Front Royal. Immediately the wind kicked up and began crushing our spirits. Pulls were short and difficult. Garvin had mapped out a beautiful route, but admitted that he was unsure of what the road conditions were. As we turned onto the prettiest road of the day, we quickly found out what that unknown condition would be. There have been very few moments in my life where I have hated riding my bike. When we turned onto Gid Brown Hollow road, I began to hate riding. The road was narrow and beautiful, running along spectacular farm fields tucked in the shadows of the Blue Ridge Mountains. It had a slight uphill grade, but all in all, it was one of the best roads we had been on all day. But, we hated it. Every one of us. I happened to be on the front as we made our turn onto Gid Brown, and immediately I felt like we were riding over mud. With a headwind and a chippy road surface, our efforts were not being rewarded. Pushing, huffing, and gritting effort netted us 13 mph as we meandered along Gid Brown. Then the gravel came. The gravel was actually a relief on Gid Brown. It was smoother and more consistent than the strange paved surface of most of the road. We worked our way up the slow climb and the group splintered again. Dave and Greg went off the front and I watched helplessly as they churned up the gravel towards the descent. We regrouped on the backside of Gid Brown and concluded that given the headwind, we would cut out an extra 14 miles of the ride to make it a 93 mile ride instead of 107. We agreed, and rolled on. And wow, were there rollers. More back country roads and rollers stretched us out again. Pete and I got caught out behind the Dave/Greg express train and had to make a ferocious chase to latch back on. The group hit a long stretch of smooth road finally and learned a thing or two about wind you simply couldn't hide from. The final climb saw me getting dropped once and for all by Greg and Dave. I came over the top of a ridge to a long downhill that unfortunately required more pedaling than I wished to do in order to get back to Front Royal. Alone, I pedaled halfheartedly downward wondering if there was anyway I could catch back on. Soon, I was being caught, as Brett and Pete zipped by. I was happy for a wheel as we worked our way back towards Front Royal together. Once in town, we were all famished. The hunt was on for a place to eat, and thankfully, we found a tavern. Eating and drinking together was the perfect way to end the day. Another good and hard fall ride was in the books. Thanks for making it a great day guys.